Description:Give your customers an excuse to celebrate! This large 5 piece BBQ set is supplied with quality Stainless Steel implements including a spatula, tongs, knife, brush and fork. 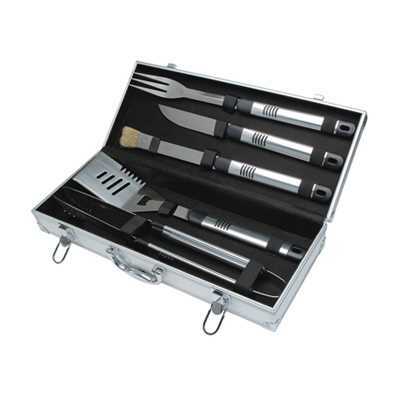 Beautifully presented in a designer Aluminium carry case the Celebration BBQ Set is the perfect choice for that special gift!